All the files are still stored on our cloud server. If you happen to lose access to your FTP server, you don’t lose access to your files. Some companies have even been able to integrate and unite this great feature straight into their print workflow, removing a lot of hassle their end. Others have been able to integrate it straight into their order process. With FTP integration, these tasks which could be time consuming become a breeze. 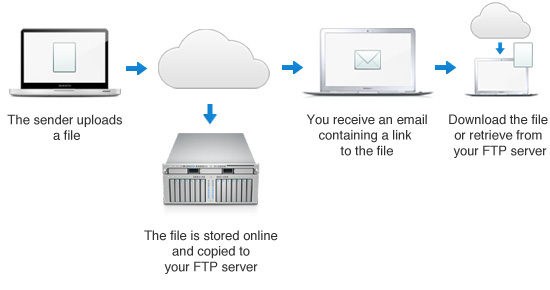 Adding FTP integration to your current MailBigFile service is quick and easy. You can either mail me directly by mailing sales@mailbigfile.com, or you can call me on +44 1502 588 885 for a quote on this great feature.